With over 400 registered kitchen companies in Sydney alone, how can you know who to trust? Who offers excellent quality for competitive prices, and will service you the best? Your new Sydney kitchen renovation can be a seamless process from design, to installation and everything else in between. You just need to do your research, and get the best design, product and price before making a final selection on your Sydney kitchen company. A good Sydney kitchen company will provide you with a kitchen designer. The designer’s job is to listen to your needs and offer creative and functional solutions to maximise and enhance your space. Your designer should offer you layout and material specifications. Although 90%+ of kitchen companies in Sydney offer free design service, many so-called ‘designers’ actually have no formal training in design. 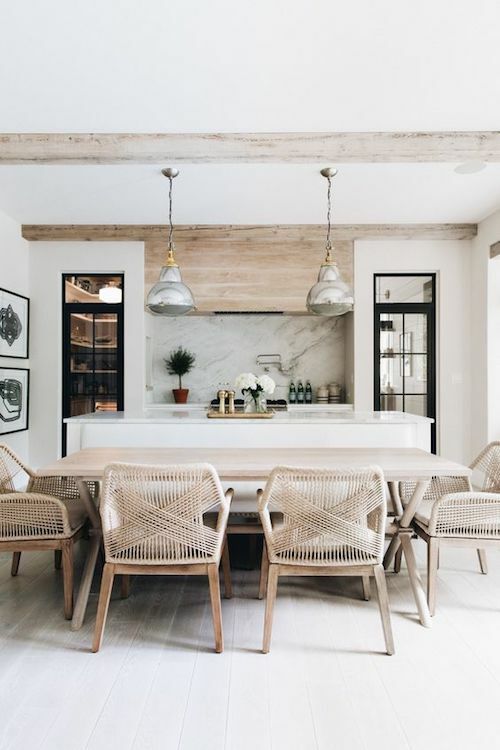 If the designer is limited to suggesting only products that the company offers, you may end up with incorrect materials, as well as filler panels instead of custom cabinetry. Beware, especially, of designer/sales persons who only get paid on commission. If you buy your kitchen from them, you also pay for the time they spend with non-buyers. If a designer spends a lot of time trying to sell you a kitchen instead of designing your kitchen, you can bet they work on commission. We estimate the average commission paid to a kitchen designer in Sydney is between $1500 and $3500 per sale. Blue Tea kitchen company aims to take sales out of the design process. When you pay a designer a fair price for their time, you not only save money, but you allow your designer to focus on the job—designing an outstanding personalised kitchen instead of just another cookie cutter suburban Sydney kitchen. Finally, our kitchen designer puts you in touch directly with our suppliers and builders, cutting out expensive overheads. In the course of your lifetime, you may renovate at best two new kitchens. You choose quality materials and service, so why skip a professional design? Ask yourself: Would you rather design your clothes, your car, or your mobile phone, or let a professional present you with multiple options, then choose a style that suits you most? 90% of kitchen companies outsource pretty much every part of your kitchen renovation to subcontractors. Nothing wrong with that. What is wrong, however, is leaving you to coordinate times with multiple trades people, leaving you to pay each contractor independently. This can be tricky if you are not informed about this from the get go. What can you expect if something doesn’t go according to what you planned or anticipated? Find out the policy for each kitchen company you consider. Your kitchen company should schedule a final inspection during which you can ask them to make touch-ups if necessary. Find out how long they will take to put on final finishing touches and what they will do if you are not satisfied with your new kitchen. Before committing to any kitchen company, find out what customers have to say about the company. Visit sites like notgoodenough.org, Google Reviews and True Local Reviews to read non-biased customer reviews. Blue Tea’s motto is ‘Expect Service’. You can expect your calls to be answered and appointments kept. Country of Origin: Made in China is cheap, but if you are spending more than $12K on a kitchen, you will not get the quality that you should. Local Prices: Vary Many kitchen companies in Sydney use the same suppliers but their prices vary significantly. Ask them who their suppliers are, and you will be surprised! Warranty: Make sure your kitchen company gives you a warranty on the work, a life-time guarantee on the hardware (hinges and runners) and seven years on cabinetry. Licensing and Insurances: Be sure to ask the tradespeople working on your kitchen if they have the appropriate licenses and insurances. You must do your homework to create a hassle free and smooth kitchen renovation. Carefully compare designs, services, prices and quality, so you avoid hidden costs, empty promises and cookie-cutter cabinetry. Choose the right Sydney kitchen company to make sure you get the perfect quality, service and design. There are some fantastic tips here. Now, this is what I call a guide. Thanks for the useful inputs, I am actually thinking of renovating my kitchen. These are some fantastic tips. I guess it all depends on your budget. If you’re after a throw it together type kitchen then your best doing a DIY flatpack from your local hardware store. However if you’re after a kitchen remodel for house you plan on staying in, then its always best to shop around and see the professionals at work. Look at showrooms, online or even magazines. Compare prices in all aspects from design to labour. Then you have to look into the prices of appliances for the kitchen. That is were a lot of people forget its not a case of buying cupboards an oven and a fridge. You have to look into splashbacks, powerpoints, lighting even down to handles or no handles. Its a very big process that shouldn’t be taken lightly. This is the blog every newbie should read before renovating their kitchen for the first time. You seriously have mentioned everything and in such a simple way . I really like how you have given links to provide more information too. Please keep up the great work Nadiah. Less than $20K for a kitchen in Sydney including appliances $3500? what planet are you on?? maybe in 1980 but in 2018? try triple those$ numbers, that will get you an ok kitchen. At best.